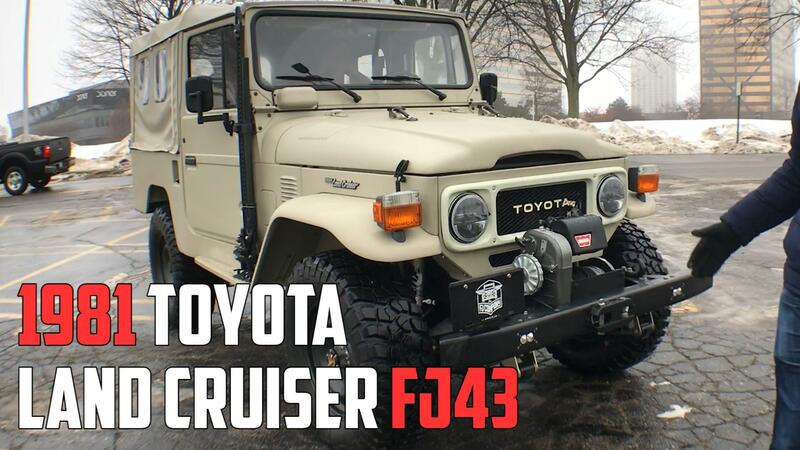 What would you pay for the most perfect Toyota Land Cruiser FJ40 in the world? Not a nut-and-bolt restoration, not a customized one, but a factory original 1978 FJ40 that's spent all of its life in good hands. Right now, it seems the price is in the six figures. This green FJ40, currently up at BringATrailer.com, has only done a little over 5,000 miles in its lifetime. When it was just one year old and barely used, the first owner decided to store it in his warehouse. A carpet supplier, he built a special carpet-lined crate for it and hoisted it onto the warehouse wall as a source of inspiration — he planned to take it down someday and tour all the U.S. national parks in it. The moral of that story is: Live for today. The owner passed away in 2000 before he could fulfill his dream. The FJ40 ended up being sold by the man's family to noted Land Cruiser restorer Jonathan Ward, who gave it its first service in more than 20 years and sold it to a friend. Now the truck is again for sale, and it's as perfect as they come. According to Ward, who runs the ICON and TLC4x4 shops, the FJ40 is in "absurd original condition, with all original finishes, and not any signs of rust. This is considered the nicest example known in the world by experts in the marque." We would take his word for that, with Ward having years and years of experience putting these Toyotas right again. Just late last year, we ran a review of an ICON-customized FJ, a nearly $200,000 restomod; Ward can take a rough but ready example and do it up the way a paying customer desires. But the 5,265-mile FJ40 on BAT is otherwise absolutely stock, except for an aftermarket A/C system having been fitted in 2000 – and even that was carried out in an easily reversible fashion. The bidding at BAT has taken a sharp turn, as the first bids for the truck came in at a lowly $8k and $9k, and the next at $84k and $100k! With a couple days still left in the auction, we can't wait to see where this FJ40 ends up. But a six-figure price should guarantee it will continue to be taken care of.